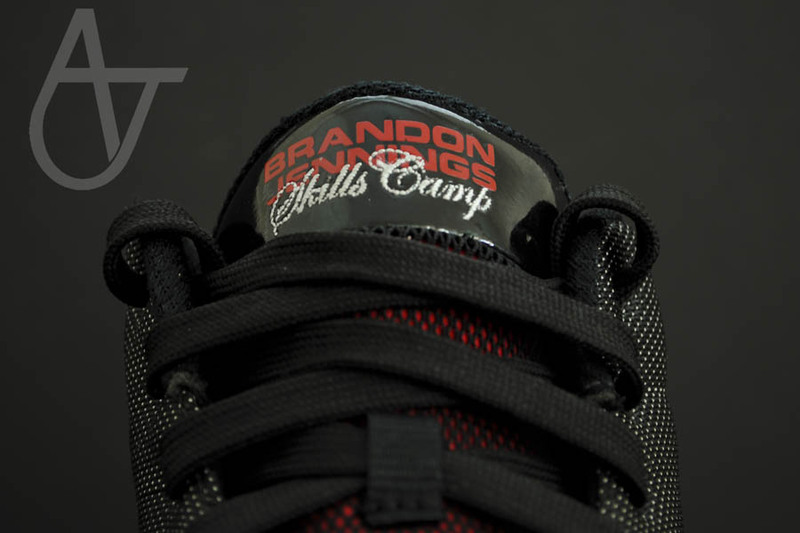 A rare version of the Prototype II issued to participants of Brandon's basketball camp. 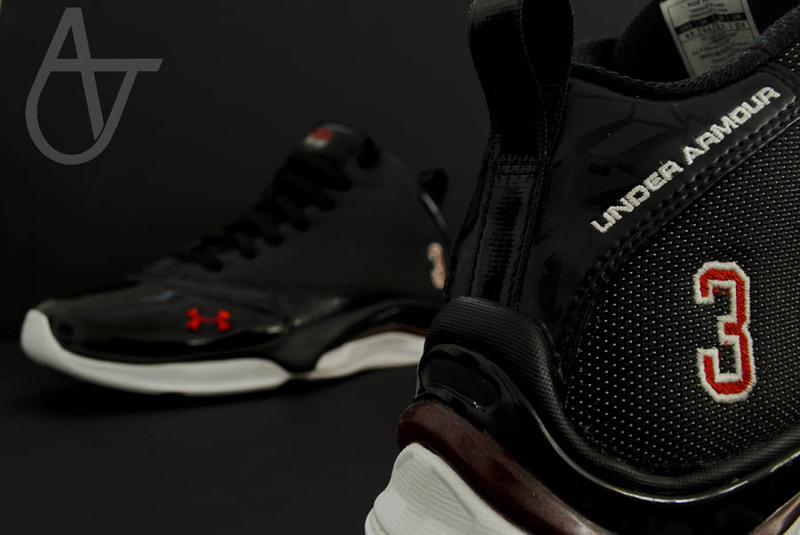 The Under Armour Prototype II has been back in the news lately, mainly due to the limited release of the "Double Nickel" colorway that Brandon Jennings wore when he dropped 55 points on the Golden State Warriors during his rookie season in 2009. 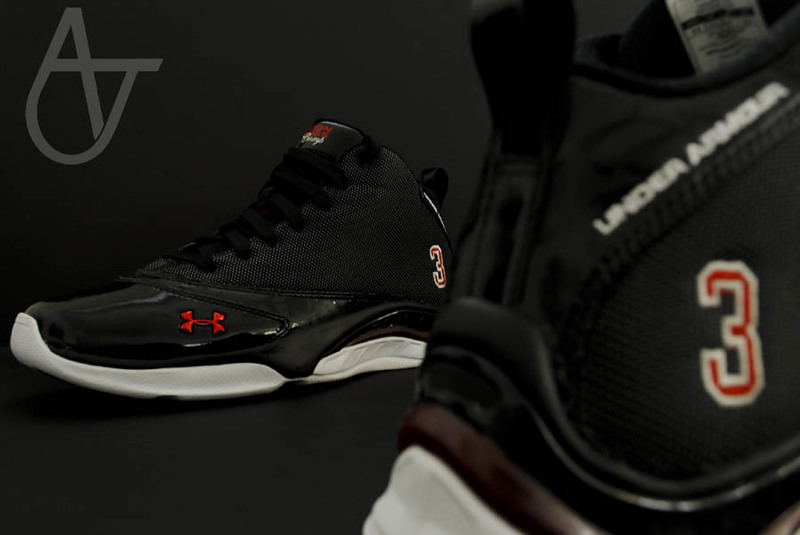 Here's a rare look at another Jennings-inspired colorway of the Prototype II, issued to participants of the 2010 Brandon Jennings Skills Camp, which takes place annually at Wisconsin's Homestead High School. Per the registration form, just 200 pairs were given to the first 200 registrants, making these a relatively rare commodity. 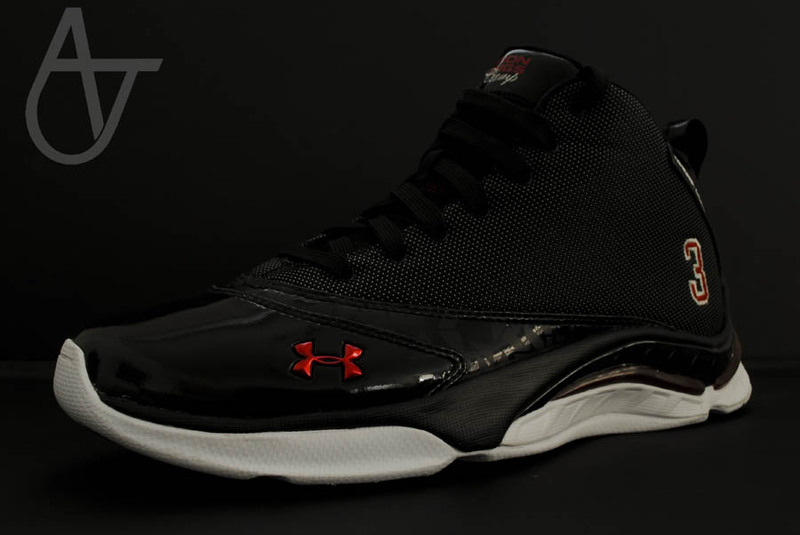 Black ballistic mesh and patent leather make up the shoe's upper, which features a metallic red Under Armour logo on the toebox and Brandon's number "3" embroidered on the heel. 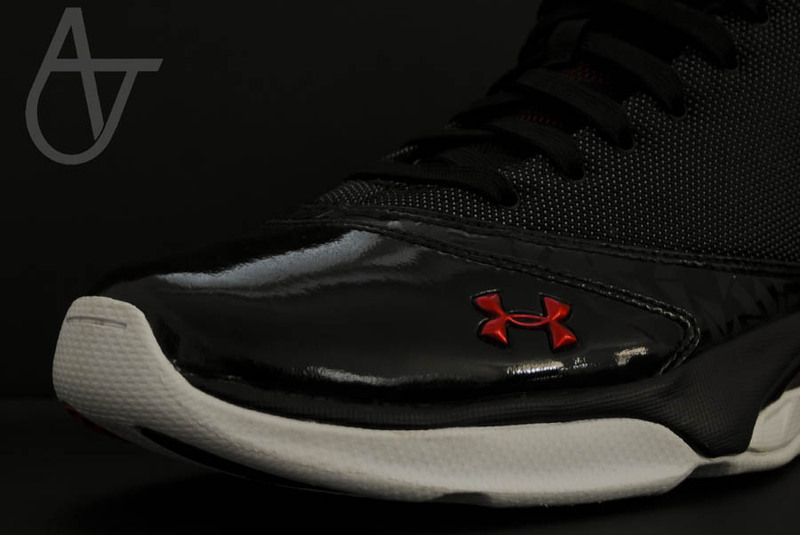 Under Armour is stitched across the lateral collar in white, while the tongues of each shoe read "Brandon Jennings Skills Camp." 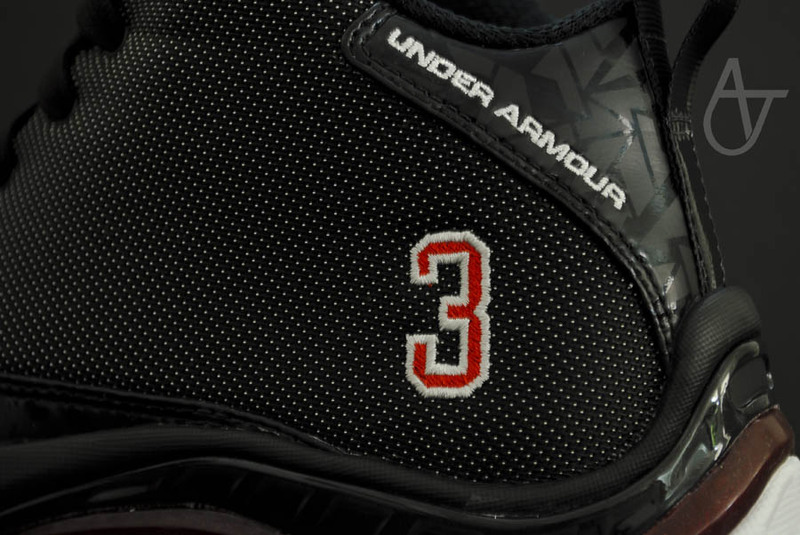 The midsole of the shoe is black, leaving a white rubber outsole to cap off the look below. 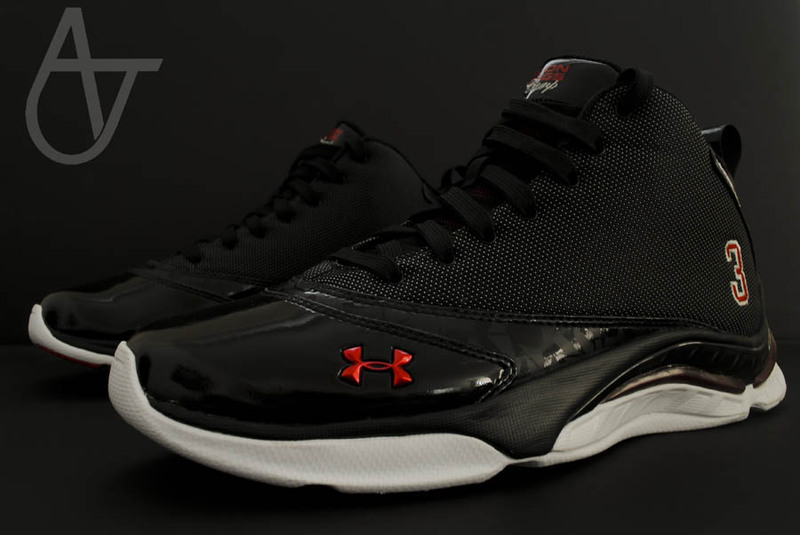 Would you like to see more Prototype II colorways released? How about Greivis Vasquez's Prototype I PEs?